. A recent President of the Dallas Bar Association, he was a member of the Board of Directors of the State Bar of Texas and served on the boards of numerous charitable and civic organizations. He is a veteran of the U.S. Navy. He received his Bachelor's degree in political science from Duke University, a Masters degree in government and international relations from the University of Maryland, and a J.D. from the University of Oklahoma. Ambassador Jordan was born on October 9, 1945. He is married to Dr. Ann Jordan and has three sons, Mark, Peter, and Andrew. [information from U.S. Department of State]Ambassador Jordan was nominated by President George W. Bush , to whom he had served as personal attorney, on September 12 and confirmed by the U.S. Senate as Ambassador to the Kingdom of Saudi Arabia on October 3, 2001. 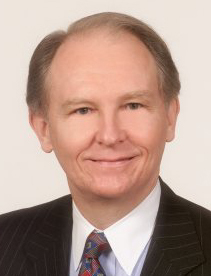 Ambassador Jordan, formerly a practicing attorney and arbitrator, was a senior partner and one of the founding partners of the Dallas office of Baker Botts, LLP . A recent President of the Dallas Bar Association, he was a member of the Board of Directors of the State Bar of Texas and served on the boards of numerous charitable and civic organizations. He is a veteran of the U.S. Navy. He received his Bachelor's degree in political science from Duke University, a Masters degree in government and international relations from the University of Maryland, and a J.D. from the University of Oklahoma. Saudi Interior Minister Prince Mohammed bin Nayef salutes during a ... the king,” said Robert Jordan, US ambassador to Riyadh from 2001-03. The idea has become a commonplace: that Saudi Arabia's export of the rigid, bigoted, patriarchal, fundamentalist strain of Islam known as Wahhabism has fueled global extremism and contributed to terrorism.